Events in Somerset in May, that lovely month in that lovely county. The Royal Bath & West Show is the centrepiece this month. the Abbey Hill Steam Rally and the Bath International Music Festival are also highlights. Somerset has many footpaths and cycleways in some very pretty countryside. The Mendips, Quantocks and the Somerset Levels plus many towns and villages makes for some great exploration. Several Events at the Helicopter Museum. during May 2019, Weston Heliport, Locking Road, Weston Super Mare. Grassland UK is now triennial and the next one will be held at the Bath and West Showgrounds in 2021. Abbey Hill Steam Rally will be held on 3rd to the 6th May 2019. Venue is the Yeovil Showground on the A37 Dorchester Road, Yeovil. Ideal day out for the whole family. Bristol 10 km run. will be held on Sunday 5th May 2019. One of the most popular in the country. Bath Festivals 71st Anniversary of Bath Festivals celebrates with a 17 day multi-arts festival from 17th to 26th May 2019. Tour of Wessex Cyclosportive will be held on 25th to 27th May 2019. This is the only multi stage sportive in UK and is a very big ask to do it all. 330 miles in three days!!!! There will be lots of cyclists who will relish the challenge. There are other options. Something for all. Why not try the 225 miles or an individual stage. Royal Bath and West Show will be held on 29th May to 1st June 2019 at The Showgrounds, Shepton Mallet. Yeovil set in a south east corner of Somerset. Famous for building helicopters. The pleasant Ninesprings Country Park is situated in the town. 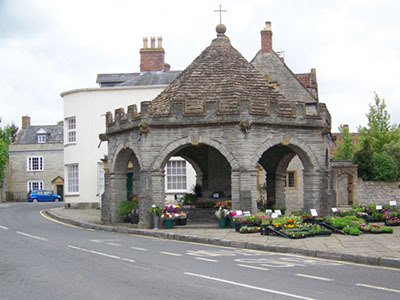 Shepton Mallet is a pretty town in the lovely Mendip Hills. If you are a caver this town would make a good base, for there are many in the area. Some places in the area are of special scientific interest. The local River Sheppey can flood. Shepton Mallet is a small town but it certainly has its fair share of listed buildings! The Bath & West Showgrounds are close by. Exford right in the centre of Exmoor on the River Exe. 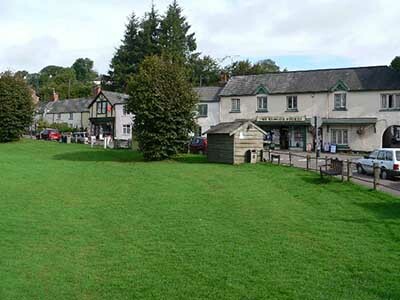 Has a village green with surrounding shops. The village is famous for walking, fishing and horse riding. The village probably started life as a ford over the River Exe. Bristol. One of the major cities of the south west and a major port for centuries. Strictly it is not in Somerset or for that matter in South Gloucestershire, but it borders both and governs itself. Bristol Airport is in North Somerset at Lulsgate nearby which makes Bristol a special starting place for visitors from overseas. The city is host to many festival and events throughout the year. Bath One of the finest cities in the southwest. With its Abbey and the Spa and the lovely Georgian architecture it is a stunning place in itself. Hosts several festivals throughout the year. 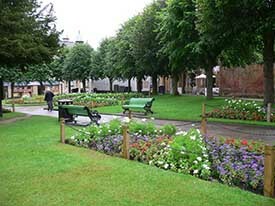 If you are visiting Bath allow plenty of time to enjoy the ambience and interest of the city. Somerton. Was at one time the county town of Somerset and of course the town gave its name to the county. That was long ago. It is a most pleasing town. Market Place has an attractive Butter Cross.